It feels like I’m coming up. 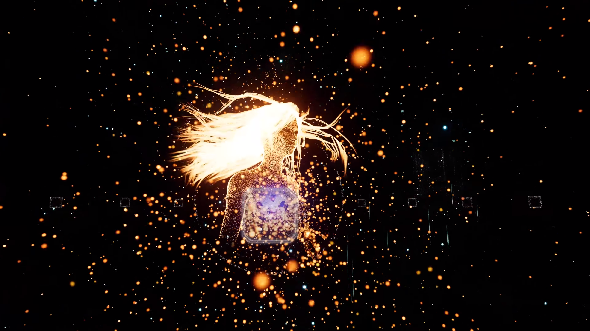 I’m half way through Rez Infinite’s Area X, shooting at the ends of swaying tendrils which emanate from a segmented, metallic globe that hangs in space – itself highlighted by a flickering, hot-orange halo. Each time I destroy one of these blooming extremities, vaguely aquatic shapes burst out, darting off into the rose-tinged blackness. My homing shots – stacked on up to eight targets at a time – inevitably find their quarry, and when they do, each undersea abstraction bursts into a fizzing shower of blue and indigo particles. It’s all around me, and it’s wonderful. They’re not as good as Rez Infinite, but you may as well have a look at these other great VR games since you’ve spent all that money on a headset now. Throughout, an insistent, thudding beat keeps time as I go about my business. The mix swells as each tendril expires, and when the creatures hiding in the final one fizzle out into darkness, the music rises again and I’m transported to the next level (in more ways than one). I’m describing just one small part of Area X here, which is itself an agonisingly-brief proof of concept for what a version of the nearly 16-year-old Rez authored in an era of affordable(ish) virtual reality might look like. But despite the fact it only lasts around 15 minutes, it’s transcendent – a profound vision of what VR could be that’s so overwhelmingly beautiful I choke up on several occasions. Rez may be getting on, but it turns out it was always perfectfor VR. Infinite’s Area X is wonderful, certainly, but Rez’s five original levels – Areas 1 – 5 – are all transformed by the technology in the way that games shouldbe. It’s not just a novel new perspective, it’s the jolting realisation that – if, like me, you came to Rez in its original Dreamcast form – you’ve been playing the game wrong for more than a decade and a half. Forget – if you haven’t already – Lucky’s Tale. Toss out hopes for an expanded Aperture Labs experience. You can even set aside the vertiginous thrills of The Climb. 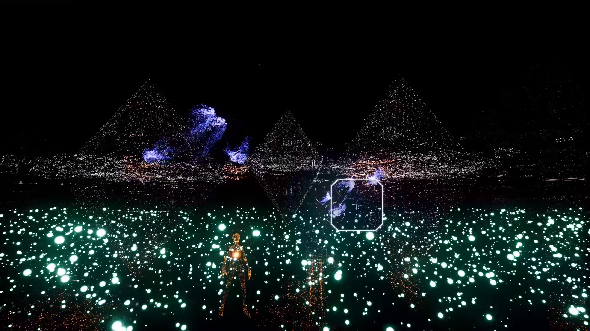 Rez Infinite is thegreatest virtual reality experience currently available, and still the only VR game I’ve played that I can be bothered to regularly clamber into my PSVR headsetfor. On PC, it’s somehow even better. Infinite will work in desktop mode, too – sporting a 4K resolution, no less – but despite its standalone brilliance, it feels neutered by comparison. Play it using Rift or Vive, however, and you’ll soon join me in no longer seeing the point of doing anything that doesn’t result in being right in the centre of an irridescent particle shower. 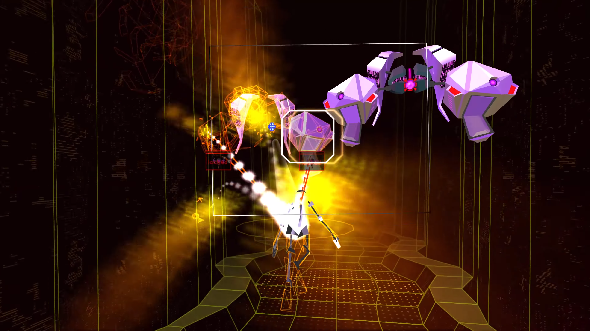 Every area of Rez Infinite is a trance-inducing masterclass in enemy wave design, colour-palette selection, and improvisational beat-matching. And every moment feels like it justifies the – let’s be honest –ridiculouscost of the silly-looking helmet you sometimes wear. Tetsuya Mizuguchi’s classic may have languished on consoles for far too long, but now that it has finally debuted on PC it represents the cutting edge of virtual reality game design. An easily reserved 15 minutes spent getting high in Area X should be all it takes to convince you of that.